Make your own natural deodorant at home using simple ingredients. Just create your favourite deodorant formula, pop it in the bottle, and apply under your arms like normal. See instructions for using the bottle below. A no-mess solution and easy to transport. One 50ml bottle. Smooth, compact design to fit easily into your bag. 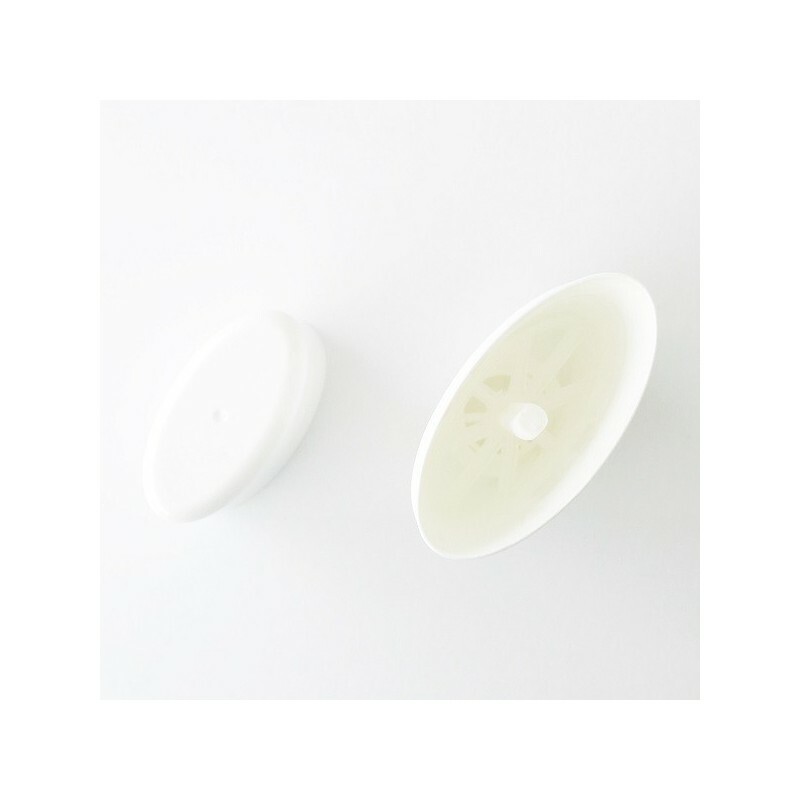 Over-the-top lid to prevent leaking, and has a mold in the lid to stop leaking and shape deoderant into a round tip. 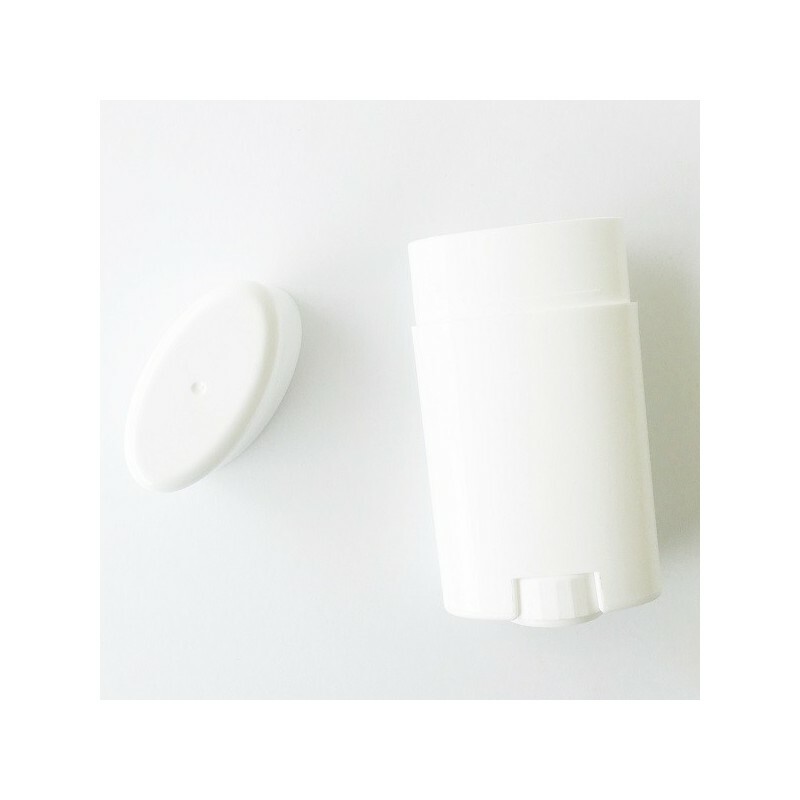 Wind-up mechanism to push up the deodorant as you use it. 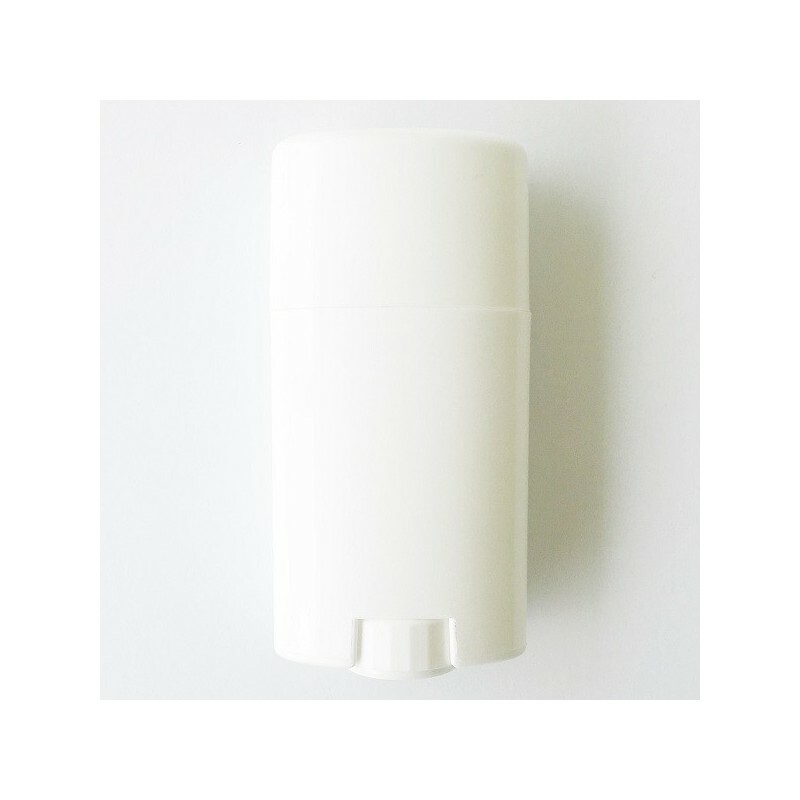 Central column to anchor your deodorant in the bottle. You can also use this stick for body moisturiser, insect repellent or homemade perfume. Clean out with warm soapy water and reuse for your next deodorant batch! Maximum filling temperature is 70 degrees Celsius. 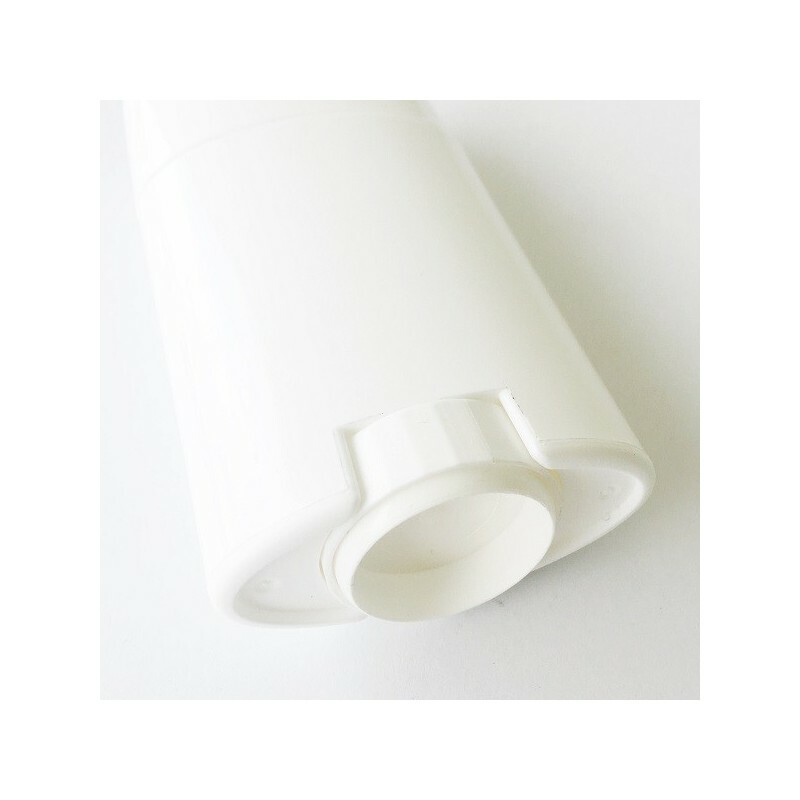 White plastic stick in oval shape, made from Polypropylene (PP). 50ml bottle. To fill, leave lid on, turn bottle upside down and take off the round cap attached to the winding wheel. Pour your formula through this hole until it touches the "shelf" inside the bottle, and allow to completely set. Joan S 18/9/2018 A really worthwhile project! I have only recently explored the possibility of DIY skincare and love the Biome recipes. I have not been left asking questions about any of the recipes I have used - all are extremely comprehensive and professionally documented. 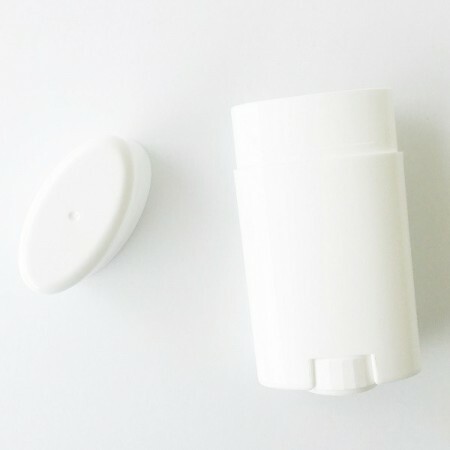 Today I made the Deodorant, using one of the Biome dispensers and have been absolutely delighted with the result. It looks as good as the photo in the recipe! Very little effort and a very satisfying result. Cheap to buy and the idea is great but it didn’t work for me, not sure if my deodorant wasn’t solid enough or was it the heat, as it was leaking out the bottom through the wind up mechanism part and this made it impossible to wind it out, as deodorant was clogging it up. May try it again but am happy to apply my deodorant using my fingers right now. Very messy experience.